I have been a medical physician for more than 29 years since graduating from the University of Utah School Of Medicine. I completed training in general surgery in Los Angeles and plastic surgery in Utah. During my general surgery training I completed a one-year plastic surgery research fellowship at the University of Southern California. I finished my board certifications in both general surgery and plastic surgery, and set up private plastic surgery practice in Las Vegas. I practiced plastic and reconstructive surgery for six years until I underwent cervical spine surgery for herniated discs in the neck. The surgery left me with neck pain and bodily muscle pain that prevented me from returning to the practice of surgery. After five years, I was well enough to re-train in pain medicine at the University of Utah under a group of renowned pain-medicine physicians, who have served as current and past presidents of prominent pain academies and societies in the United States. I hold memberships in the American Academy of Pain Medicine, the International Cannabinoid Research Society and the American Telemedicine Association. I am a board-certified pain-medicine physician and owner of Hawaiian-Pacific Pain and Palliative Care ( medicalmarijuanaofhawaii.org ). The focus of my practice is the care of patients with chronic pain. In addition, I have a strong interest in hospice and end-of-life care. This practice is done on a voluntary basis and is based in Waimanalo at the Native Hawaiian Model Agricultural Village called Pu’uhonua O Waimanalo. Nearly all fees generated by the advocacy and clinical practice for medical cannabis therapies are used for expenses and Native Hawaiian programs. Malama First Healthcare is a nonprofit initiative based in the village, and its goals are to improve the health care of Native Hawaiians worldwide. I serve as their chief medical officer on a voluntary basis. How long have you been an advocate for medical marijuana? I have been an advocate for the use of medical cannabis since 2008, when I was first exposed to a group of chronic pain patients on the Big Island who were using cannabis as their sole pain medication, or sometimes in combination with pain pills. Having no personal experience with marijuana use, I found it quite fascinating that so many people found benefit and relief to their chronic pain conditions using cannabis. From there, my professional opinion evolved to the point of full political and medical advocacy. My formal training taught me that marijuana was a gateway drug and had no medical use, which I have since learned to be completely false. During my training, patients using cannabis often were denied opioid therapies and viewed as drug seekers and addicts. During my training, no one explained to me how cannabis helped with pain, except one young man who suffered a severe neck injury in the Indonesia tsunami. Our addiction psychiatrists were forcing him to quit the use of cannabis before the group would prescribe opioids. Thankfully, this is an out-of-date notion. These restrictions should never be forced upon any patients who suffer severe, disabling pain. As I interviewed more people, I became more convinced of the usefulness of medical cannabis. I thought to myself that thousands of Hawaii residents can’t be wrong. Patients were finding significant relief from chronic pain conditions and syndromes that otherwise have poor or no effective treatments. I then set off on an extensive endeavor to understand the medical science of cannabis, cannabinoid receptors, cannabinoid physiology and cannabinoid therapies. At first I was shocked by the suppression of these safe and effective therapies because of irrational prejudices and political machinations. This was followed by professional and political disdain at government, politicians, entities and corporations with ulterior motives who are willfully causing millions of people to endure greater suffering because of their direct interference in the practice of medicine and medical research, and their suppression and denial of these therapies. Thankfully, the Hawaii State Legislature took a bold stand more than a decade ago, in the face of great political pressure, which still exists, and allowed for legal use by chronically ill and disabled people. Chronic pain is the No. 1 medical condition in the United States, with an estimated 75 million to 100 million Americans living with it. At least 20 million to 25 million Americans live with severe pain. In Hawaii, it is conservatively estimated that more than 100,000 live with moderate to severe pain from all causes, including arthritic degeneration, trauma, metabolic conditions such as diabetes, and cancer or its treatment. Where do things stand right now in the legislative arena? This year, two bills out of many were vetted in committee and passed by both the Hawaii State Senate and House of Representatives and are expected to be signed by Gov. Abercrombie. The first and most important bill calls for the transfer of the medical cannabis program to the Department of Health. Patients and physicians have requested this transfer for many years. It is more appropriate that a program for the health and medical welfare of patients be under the auspices of a health department and not law enforcement. The second bill attempts to improve significant shortcomings in the program itself. Safe access is our No. 1problem and concern. The state allows for the use of cannabis as a medicine but does not allow the access to a safe source of that medicine. From a medical point of view this is unconscionable. You would not make a diabetic grow and produce their own insulin or diabetes pills. Currently, patients must obtain seeds, grow the plants, overcome the hostilities of growing by mold and bugs and then develop the yield that becomes their medicine. The majority of patients are not in a position to even get started. They don’t know how to grow. They don’t feel well enough to grow. They don’t have a place to grow. And there’s no guarantee that these efforts will result in an adequate medication supply. The use of cannabis is not an alternative to the use of traditional medications it is a unique medication with unique medical effects. It is not replaceable with anything else in existence. Immediate access can only be solved by a dispensary or retail outlet. A state-run system would be ideal. 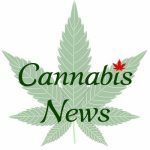 The other main issue is the failure to increase the qualifying diagnoses list, since cannabinoid therapy is uniquely helpful to a myriad of conditions. A large proportion of Hawaii’s cannabis users do it for medical purposes, but the law does not respect that and allow them to be legal because they are using it for conditions not allowed by law. Our combat soldiers are denied its legal use for PTSD after a decade of multiple deployments to war zones, and are thereby denied an effective and safe treatment for this difficult-to-treat condition. Cannabis is superior to all other modalities in existence such as anti-depressants and anti-psychotics, which have questionable effectiveness and many adverse side effects. How effective is medical marijuana compared with other painkillers? Studies have shown that medical cannabis is as effective as opioid therapies. By using medical cannabis, many people are able to completely eliminate or significantly reduce their use of opioid pain pills. This eliminates or significantly reduces the numerous adverse side effects that opioids inflict. The major medical benefit to the withdrawal of opioids is the removal of physical dependency. Most importantly, the mortal safety of a patient on an opioid regimen is dramatically improved with the addition of medical cannabis and a reduction in opioid dosage. Every day, Americans are dying from the misuse and overdosing of opioid medications. There is an epidemic of prescribed opioid pill diversions, which can lead to death or ongoing drug addiction. The use of cannabis in chronic pain also reduces the number of other types of medications needed for coexisting sleep and mood disorders, and myofascial spasms ( within tissue surrounding the muscles ) found in nearly all chronic pain patients. There are no other single medications in existence that can treat all of these coexisting problems in addition to treating the pain. The removal of these other medications also removes their inherent adverse side effects and any medications needed for adverse side effects, such as drowsiness, constipation or nausea. Medical cannabis is an effective and safe therapy that should not be denied to any human being. Government policies are directly interfering with medical science and research, along with clinical care. The prohibition of safe access is an ongoing major problem for patients in Hawaii and needs to be corrected by dynamic and outside-the-box thinking. There are solutions to these issues. The concerns of cannabis habituation, dependency and addiction, along with recreational or misuse in young people, are not valid reasons for the denial and suppression of these therapies for legitimate patients; otherwise, no controlled substances would be allowed in clinical practice. I hear compelling, life-changing stories from patients almost daily. Just today, a mother expressed her gratitude to us for helping her son, who was practically bedridden for two years, get his life back. She cried when he tried cannabis and was able to get up and out of bed and start running around. These are not isolated and rare occurrences. The addition of medical cannabis as a replacement or adjuvant medication to the chronic pain patient’s medication regimen will greatly improve patient well-being and care, and provide increased patient safety. Copyright: 2013 RFD Publications, Inc.